I have sold a property at 2507 950 CAMBIE ST in Vancouver. This bright 2 bdrm & den (easily a 3rd bdrm) with 2 full baths and large open plan has been fully renovated to create a warm and accommodating place to call home. Fabulous open kitchen with granite counters, stainless appliances, tile backsplash and built-in breakfast bar. Features gleaming hardwood floors, floor to ceiling windows, fresh paint in soft designer tones and a fantastic view from the 25th floor! This home is large enough for the grand piano in the living room and the king-size bed in the Master suite. Excellent pro-active strata council, great amenities including indoor pool and a full gym and the best Yaletown location. Buy with confidence - great value here! Please visit our Open House at 2507 950 CAMBIE ST in Vancouver. I have listed a new property at 2507 950 CAMBIE ST in Vancouver. This bright 2 bdrm & den (easily a 3rd bdrm) with 2 full baths and large open plan has been fully renovated to create a warm and accommodating place to call home. Fabulous open kitchen with granite counters, stainless appliances, tile backsplash and built-in breakfast bar. Features gleaming hardwood floors, floor to ceiling windows, fresh paint in soft designer tones and a fantastic view from the 25th floor! The rooms are large enough for the grand piano and the king-size bed in the Master suite. Excellent pro-active strata council, great amenities including indoor pool and a full gym and the best Yaletown location. Check the price - great value here! OPEN HOUSE SATURDAY FEBRUARY 28th 1:00 - 4:00PM. I have sold a property at 308 928 BEATTY ST in Vancouver. I have sold a property at 102 550 PACIFIC ST in Vancouver. I have listed a new property at 102 550 PACIFIC ST in Vancouver. This unique & luxurious garden suite boasts super outdoor / indoor living & entertaining spaces. Soaring ceilings give the feeling of a penthouse suite. All windows face the privacy of greenery. Tastefully updated, immaculately maintained. Work from home in your Executive Office / Den or unwind with guests on your impressive garden patio. Unit 102 boasts it's own private hallway from the lobby & is steps to the indoor Pool/Sauna/Steam/Squash Court / Gym /Guest Suite & Concierge. Secure bike storage, underground parking. Surrounded by super Vancouver recreation & night life. I guarantee you have never seen a condo quite like this one! Live lavishly in the heart of Yaletown. Please visit our Open House at 102 550 PACIFIC ST in Vancouver. This unique & luxurious garden suite boasts superb outdoor / indoor living & entertaining spaces. Soaring ceilings give the feeling of a penthouse suite. All windows face the privacy of gardens & greenery. Tastefully updated, immaculately maintained. Work from home in your Executive Office / Den or unwind with guests on your glass & garden enclosed patio. Unit 102 offers it's own private hallway from the lobby & is steps to the indoor Pool/Sauna/Steam Room/Squash/Court /Gym/Guest Suite & Concierge. Secure bike storage, underground parking. Experience the Vancouver recreation & night life that surrounds you. I guarantee you have never seen a condo quite like this one! Live lavishly in the heart of Yaletown. Please visit our Open House at 308 928 BEATTY ST in Vancouver. Open house Sunday, October 22 from 2pm-4pm. Open House. Open House on Sunday, October 22, 2017 2:00PM - 4:00PM Open house 2pm-4pm Sunday, October 22. Open House on Sunday, October 22, 2017 2:00PM - 4:00PM Open house 2pm-4pm Sunday, October 22. YOU HAVE TO SEE IT TO BELIEVE IT! THIS DECK IS LARGER THAN MOST IN VANCOUVER FOR A CONDO. (675 sq ft.) WITH 675 SQUARE FEET OF AMAZING OUTDOOR SPACE WRAPPING AROUND THE CORNER. IT IS REMARKABLY PRIVATE CONSIDERING ITS LOCATION AND HAS A GREAT SPACE INDOORS WITH BRAND NEW WIDE-PLANK LAMINATE FLOORING AND PAINT THROUGHOUT. 1 PARKING SPACE AND 1 STORAGE LOCKER. THIS ONE OF A KIND HOME WILL BE HAVING AN OPEN HOUSE ON SATURDAY OCT.14 & SUNDAY OCT.15 FROM 2PM-4PM. I have listed a new property at 308 928 BEATTY ST in Vancouver. YOU HAVE TO SEE IT TO BELIEVE IT! THIS DECK IS LARGER THAN MOST IN VANCOUVER FOR A CONDO. WITH 675 SQUARE FEET OF AMAZING OUTDOOR SPACE WRAPPING AROUND THE CORNER. IT IS REMARKABLY PRIVATE CONSIDERING ITS LOCATION AND HAS A GREAT SPACE INDOORS WITH BRAND NEW WIDE-PLANK LAMINATE FLOORING AND PAINT THROUGHOUT. 1 PARKING SPACE AND 1 STORAGE LOCKER. THIS ONE OF A KIND HOME WILL BE HAVING AN OPEN HOUSE ON SATURDAY OCT.14 & SUNDAY OCT.15 FROM 2PM-4PM. I have sold a property at 406 888 PACIFIC ST in Vancouver. Please visit our Open House at 406 888 PACIFIC ST in Vancouver. I have listed a new property at 406 888 PACIFIC ST in Vancouver. Bright one-bedroom / Den corner unit in this well-maintained concrete building in desirable Yaletown. Floor to ceiling windows. great floor plan with enclosed balcony which can be used as Den or solarium. Lot of updates including fully renovated bathroom, new kitchen counter, new appliances, new floors in bedroom, dining and living room. Amenities include indoor pool, gym, sauna, squash court and guest lounge. Live-in care-taker. Everything right outside your door- public transit, shops and restaurants. Incredible place to call home or a great investment property as rentals are allowed. I have sold a property at 1702 189 DAVIE ST in Vancouver. 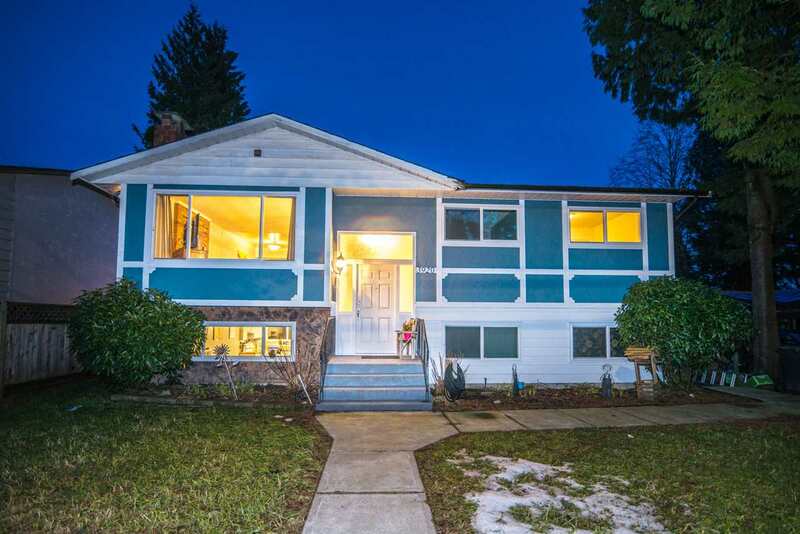 I have listed a new property at 1702 189 DAVIE ST in Vancouver.